​​Oooh how exciting is this? Milk, as fresh as it gets, as real as it gets, from a vending machine on the actual farm where the cows live... We went to Cherry View Milk on the very first day they opened for business. We met the wonderful Becky and her family who run the farm. 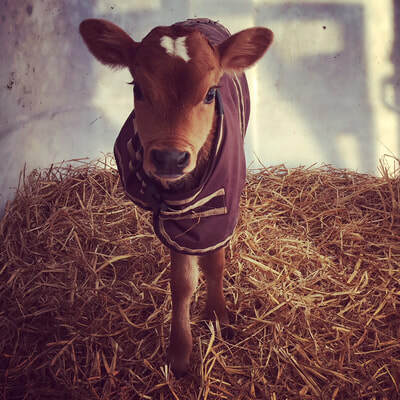 Becky has her own herd of Jersey and Holstein cows and it is from these cows that the Cherry View Milk comes. I don’t like my food tinkered with, I like it as unadulterated as possible. This milk is real milk. It has been pasteurised to get rid of any harmful bacteria, but it has not gone through any homogenisation or standardisation processes. Most of the milks you can buy in the shops have been through these processes. (Homogenisation is where the fat molecules in the milk are forced through small holes at pressure to be broken down so that they stay integrated within the milk rather than separating into cream at the top. Standardisation is where the milk has been processed to ensure that the content of every bottle is the same – the milk and cream are separated and then re-blended to add the required amount of fat for whole milk, semi-skimmed or skimmed milk). The Cherry View Milk is the tastiest milk I have had in a long while. It makes my coffee super tasty and I have even taken to having the odd unadulterated glass on its own. The Child really likes the milk which is great as I am very keen that he drinks it regularly so that he will have strong teeth and bones. There are also other health benefits which I was until now unaware of: recent research has shown full fat dairy products have beneficial properties, including having a protective effect against some cancers and protecting against coronary heart disease and type 2 diabetes. 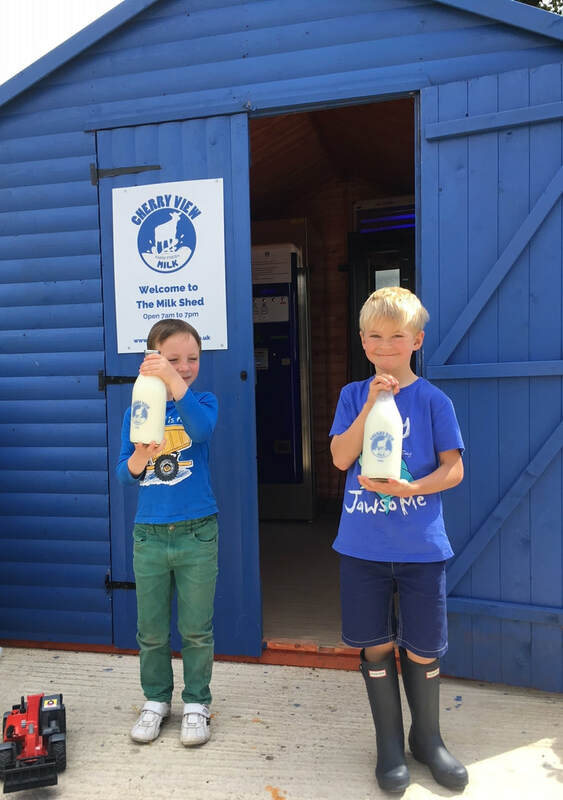 Also, studies have shown that there is no difference in body fat and body weight between children who drink whole milk dairy products or low fat dairy products. So this is all great news! Not only is the milk delicious but it is also good for you in many ways! Along with now googling 'good blancmange moulds' I have also been googling recipes involving milk and am encouraged by what I have found...there are fish dishes, pudding, sauces – loads to go at and they all sound really tasty and mostly not that complicated. We went to Cherry View yesterday to get some more milk and I got to meet the beautiful new calf who totally made my heart melt. The Child got to look at the cows and the huge bull and jump in some muddy puddles. Doesn’t get much better in his opinion! I am glad I am finding these recipes, all I need to do now is to get the hang of this cooking thing and I will have reason to go there more often! Cherry View Milk gets a big tick from me and a big tick from The Child. 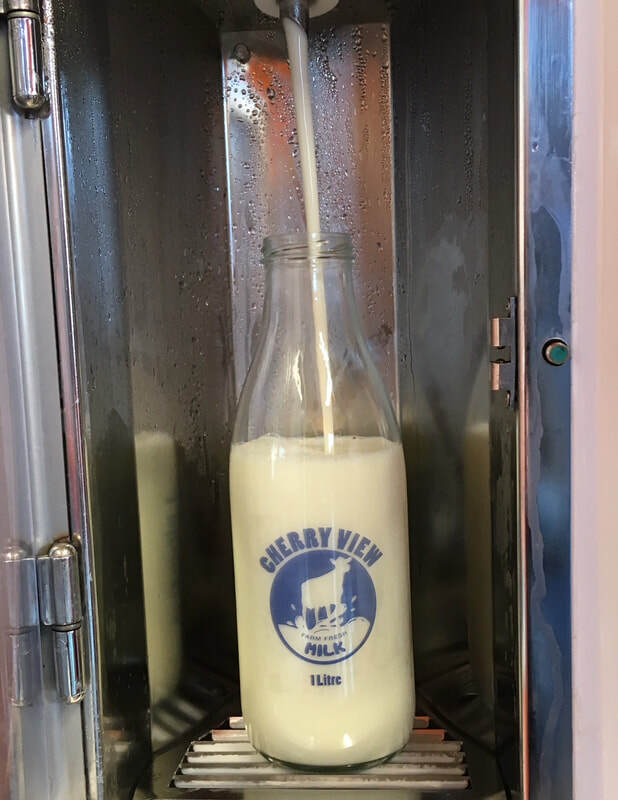 Cherry View Milk is open daily from 7am until 7pm. It’s worth checking on their Facebook page if you are going later in the day as sometimes it can be sold out. You can purchase the reusable 1L glass (£1.50 one off fee) or 2L plastic bottles from the vending machine. You just need to wash the bottle after use and bring it back to refill next time. The milk is £1 per litre.